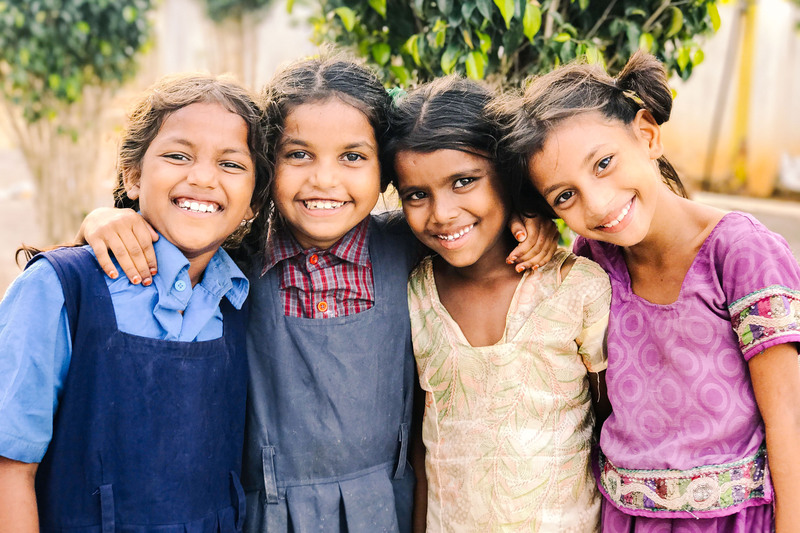 Today we bring you the good news that 32 children who were recently rescued from hazardous child labor situations and the trauma of child slavery are now living at our 2 orphan homes in India. This puts our enrollment at the Girls Home and Boys Home at full capacity with 121 children total. 89 of the children are currently enrolled in our on-campus primary school, which began a new semester in June, with the other 32 enrolled in a nearby high school. The students at our school are enjoying the blessing of an accredited education, studying their native Telugu and Hindi languages, English, math, science, and social studies, taught by our 10 faithful teachers. The children are happy to be back in school, making new friends, studying and playing together, and enjoying fresh-cooked meals with one another. I am the only son of my parents, and I was born in a very poor family in a small native village. When I was 2 years old, my father was coming from the town to my village, and on the way, he was killed by a truck accident. My mother felt so bad about the accident, and so much depression took place in our family that my relatives comforted us at that time. After that, all of them left us, and my mother came to my grandmother’s house. They are also very poor, so they were not able to feed us. My mother was so young at that time, and she wanted to see me in a healthy situation, so she went house to house to find housemaid work. She found 3 houses to work in, so she was working there and bringing some food from their houses and feeding me as well as feeding herself. While she was working there she found out that she was suffering from tuberculosis, and she died when I was 6 years old. After I lost my mother and father, I use to wander from house to house. I lost everyone, even my grandmother, and I did not know my relatives. I had no home and did not know where to go. I was begging house to house for food, and I went to a hotel to clean cups and plates, and they gave me breakfast, lunch, and dinner. There was so much hard work to do there. At that time an old woman found me and asked me to come to her house. I went there and she loved me and she introduced me to her pastor. He sent me to a school, and I studied there until 6th grade. But the pastor’s financial situation was also not good, so he said that he was unable to send me to the school anymore. The old woman understood his situation, so she brought me to the Peace Gospel orphan home and now I am happy here and doing well, having food 3 times in a day freely. I am eating sufficiently and going to the school freely. I have my own bed here, I am enjoying living here, and I am so thankful to Peace Gospel. Photo inset: (Top-left): “Neerav,” one of our newly rescued orphans, is thankful to be at our Boys Home and attending school. 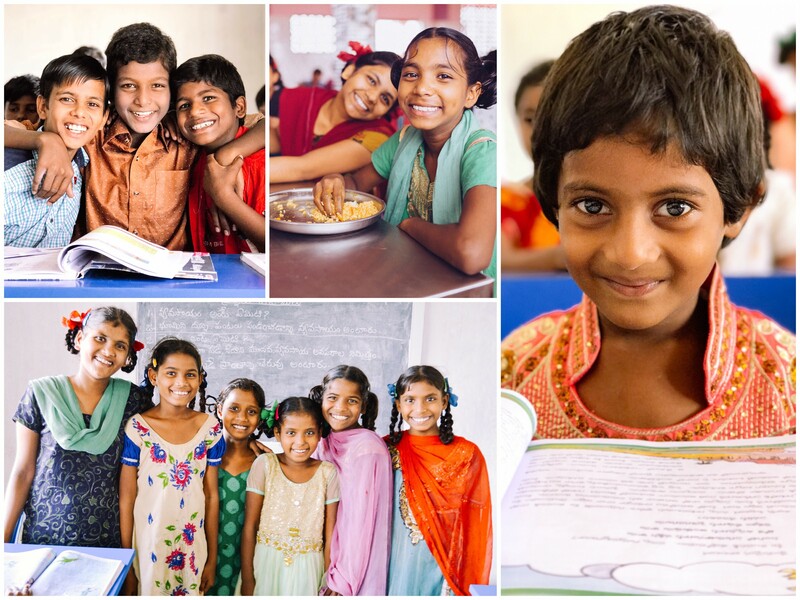 (Top-center): The children at our India Girls and Boys Homes are grateful for 3 fresh-cooked meals a day. (Far-right): Thankful to be rescued from a life of poverty with no one to care for her, “Anika” now has healthy meals, her own bed, and a quality education. (Bottom): These girls, rescued from child labor situations and poverty, are excited for the opportunity to attend our on-campus primary school. When I was born, after some months, my father died from a stroke. I was a small baby girl, and my mother was breastfeeding me, so at that time she was unable to do any work. My grandmother took me and my mother to her home. My grandfather had also died, so my mother and grandmother both are widows, and people treat widows badly. It is so hard to find some work for widows in some areas, so my grandmother used to go from house to house to beg for food for us, and later my mother was able to do some work. My mother’s hand was broken in her workplace, so she was unable to do any more work there. After this, my mother used to go and pick rags out of the trash and sell them, and with that little money, she was feeding us. After two years my mother also died, and I was a small girl and did not know what to do. In those days my grandmother had a friend who saw our situation — I was eating food which I begged for (while I was begging they used to give the last night’s food to those who were begging in the mornings). In my grandmother’s friend’s house, I was wearing used clothes, but those became torn. Then my grandmother began to suffer from some kind illness, and she was unable to walk because of knee pain, so she was not able to go and beg for food for us. We used to go 2-3 days without food if she was not able to walk, and we did not have even water. Another friend heard about our situation and told us about Peace City. My grandmother was so happy and both women brought me here to Peace City, I joined here, and now I am so happy here. I eat daily 3 times, sleeping on a bed — I did not know about beds because we used to sleep on the floor that was made of mud and clay. Here I have my own bed, I’m going to school, and I had never used toothpaste before in my life, but here I am using toothpaste and a toothbrush to clean my teeth. I am happy with so many facilities here, and I love playing with my friends here on the playground. I am so happy and thankful for this place.